Because the calves are a stubborn muscle for many of us, I called up my good friend IFBB Pro Ben Pakulski (who was NOT born with the best calves and yet BUILT THEM to become one of the best calves in bodybuilding history) to shed some light on the subject. See how Ben kicks my behind on this short but intense routine. Keep going back and forth with no rest in between sets until you have done 2-4 sets of each exercise. You can do this routine at home using a couple of dumbbells on each hand for resistance and a couple of 25lb plates placed next to each other as a platform to place the ball of the foot on in order to perform the exercise. Try this routine out and let me know what you think! If you have found this knowledge useful you may want to check out Ben’s MI-40 program, which is jam packed with muscle building information. And if you choose to get it, I will also give you my Body Re-Engineering program for FR E E. For details and review of the MI-40 program click here. 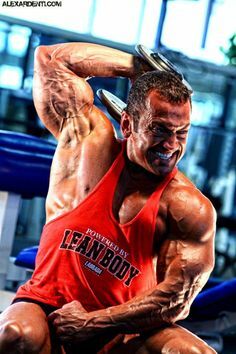 If you think that you know all there is to know about natural bodybuilding biceps training, think again. I was honored to have my good friend and IFBB Pro Ben Pakulski take some time out of his busy schedule (and Mr. Olympia preparation) to come with me at the PowerHouse gym in Downtown Tampa to share with me some solid biceps training tips. These tips, when applied to the letter, and in conjunction with the proper diet, will add an extra inch to your arms in no time! Because when Ben talks I listen, instead of writing an article about what he showed me, I took the camera with me to the gym and filmed live! So make sure that you check out the three videos below in which Ben takes me through a serious biceps workout that made my arms completely explode! As you will see, there is not a lot of weight used. The magic is in the proper exercise execution and the application of tension in the biceps! And of course, you will see how Ben will talk about certain things you can do to make regular exercises like dumbbell curls, cable curls and incline curls be 10 times more effective! So check out the workout videos below, try the principles out, and let me know how they work for you! 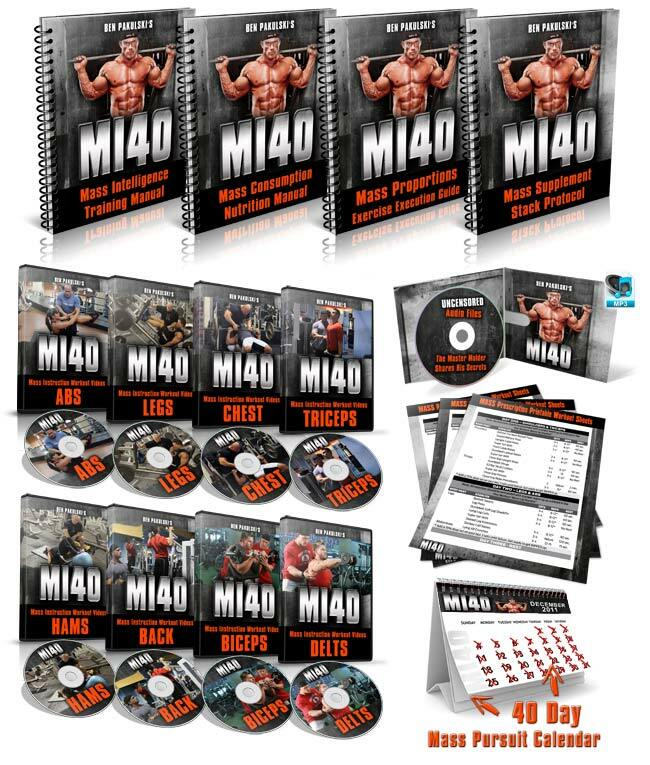 By the way, if you have found this knowledge useful you may want to check out Ben’s MI-40 program, which is jam packed with muscle building information. And if you choose to get it, I will also give you my Body Re-Engineering program for FR E E. For details and review of the MI-40 program click here. Up to you. If you want to keep your workout short, you can do 2 sets per exercise of anywhere from 8-15 reps. If you can afford more time you can do as many as 4. 1) Train the biceps twice a week. www.Max-Hypertrophy.com <= is now open until Friday at midnight! Don’t miss out! Hypertrophy Max is the most revolutionary natural bodybuilding muscle building and fat loss system I have come across in my 23 years of training. This system takes the latest and greatest periodization principles and puts them together in a year -long periodized plan that will allow you to grow WITHOUT PLATEAUS. What excites me the most about Hypertrophy Max is the fact that it can be used by absolute beginners and by the most advanced of us (including myself). In this natural bodybuilding video, IFBB Pro Ben Pakulski and Hugo Rivera talk about bodybuilding training and ways to stimulate more muscle growth with some simple changes on the routine. Other topics covered are workout length and how much is too much. This is part 1 of 4. I remember when back in the day I had all of the desire in the planet to gain muscle and lose fat but I had no idea of where to get started. After years of painful trial and error I was able to finally figure out what worked and what didn’t. However, like I just mentioned, this process took YEARS of trial and error; something that along with it brought in a lot of frustration and wasted money (mostly on worthless supplements) along the way. 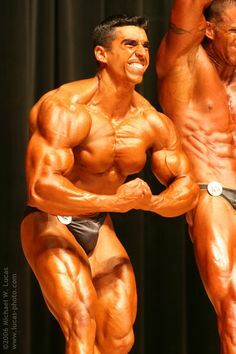 It is because of the reasons above that I decided to not only create this website but also my natural bodybuilding system Body Re-Engineering. In Body Re-Engineering I basically put together the periodized program that I used to get to where I am today. In Body Re-Engineering I give you over 21 Weeks worth of workouts that will get even the most stubborn metabolism to grow and to lose fat. The system also shows you exactly what diet you need to follow (based on your individual metabolism and body type) in order to get the gain muscle as you lose fat! I have thousands of super satisfied users and the best thing is that the system comes with access to my private members forum so that you can get any question that you have on the system answered by any of my fellow expert members who once were people like you (and I before I started to train). 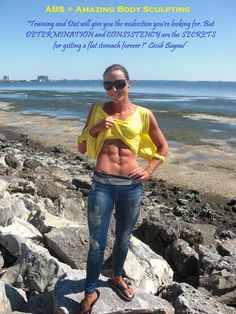 In addition, Body Re-Engineer covers the supplements THAT DO WORK and I can tell you that there are not many so you will be saving tons of money. Now, recently I came across a system that impressed me so much that I feel EVERYONE needs to have it (and implement it!). This system will teach you how to perform each exercise in the most efficient and safest manner via its wonderful HD exercise videos. How I wished I had this information when I started out! This will dramatically increase the growth you get from every repetition and will save you from injuries. And if you have nagging pains (like in the knees, wrist, etc), a lot of my customers report that these have gotten much better and even gone away from implementing the knowledge from this system. I used this system in combination with my Body Re-Engineering principles and in the last 6 months I have put on over 12lbs of solid muscle (and keep in mind I have been training for over 20 years)!! This system is called MI-40 and it is the creation of my friend IFBB Pro Ben Pakulski. 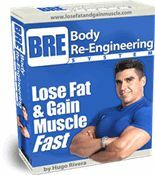 Just for MY LOYAL READERS, GET MI-40 and Receive Body Re-Engineering Plus Over $300.00 in Muscle Building Gifts! If you get Ben’s program through one of the links in this review or via the links on my e-mails, I will get you a complimentary copy of my own program “Body Re-Engineering” (valued at $39.99) which contains over 21 weeks of fully detailed and periodized workouts plus specific diet information designed to get you in the best shape of your life! This is my gift from me to you as my way to say thank you for your support! In addition, I will also include 2 rare videos (valued at over $300) from me talking about how to best use my Body Re-Engineering System in combination with MI-40! In video 1 I discuss key training and nutrition secrets while in video 2 I focus on which ones are the only bodybuilding supplements that you need to concern yourself with! Between Body Re-Engineering and MI-40 you will have almost half a year worth of unique muscle producing and fat blasting workouts! Diets and workouts are all spelled out so all you need to do is be determined, put the plan into action and grow! So make sure that when you pick up MI-40 you forward your receipt to hugo@hugorivera.net with the title “SPECIAL 2013 OFFER” and I’ll get it sent over to you asap (within 24 hours)! and “bro science” that you hear out there. 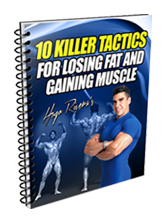 This FREE 57-Page REPORT was put together by my good friend Ben Pakulski and Vince DelMonte and it shows you some SOLID ways to gain muscle mass regardless of what level you are at. By incorporating Ben’s strategies into my program, I have gained over 12 lbs of new muscle in the past 6 months (something that has shocked me and my friends/family as well!). Whatever your bodybuilding goals are, if you are confused about how to gain muscle and lose body fat, you cannot miss this offer!